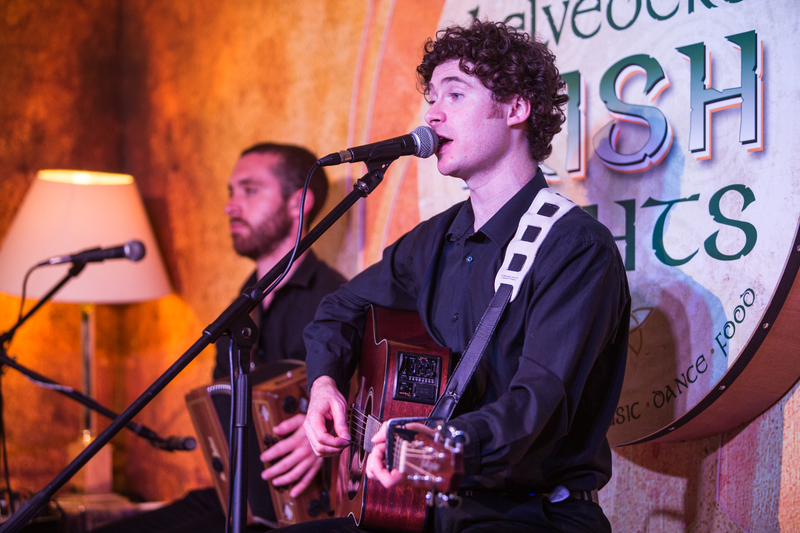 2012 saw the launch of Dublin’s newest resident Irish music and dance show at the Belvedere Hotel on Denmark Street (just off Parnell Street). 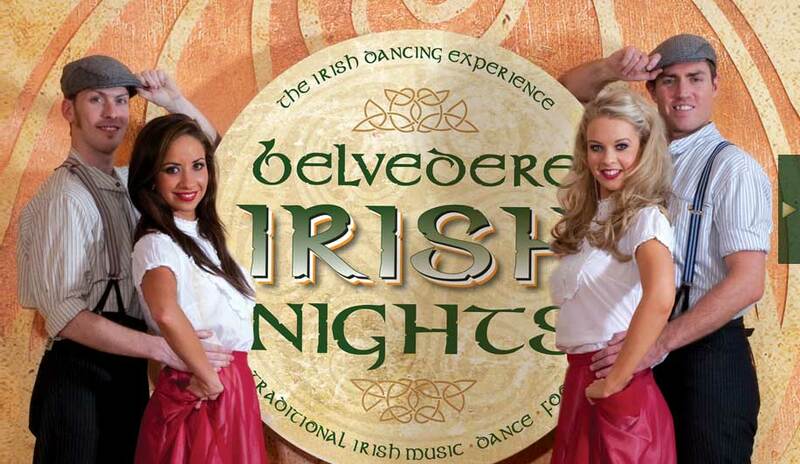 Produced and managed by DAMHSA, the award-winning ‘Belvedere Irish Nights’ is a high energy show that gives a flavour of the different styles of Irish dance along with ballads and songs performed by award-winning Irish musicians and features musical arrangements and compositions by Anthony Davis. The show is performed in intimate surroundings with all the seats offering a great view of the raised stage. 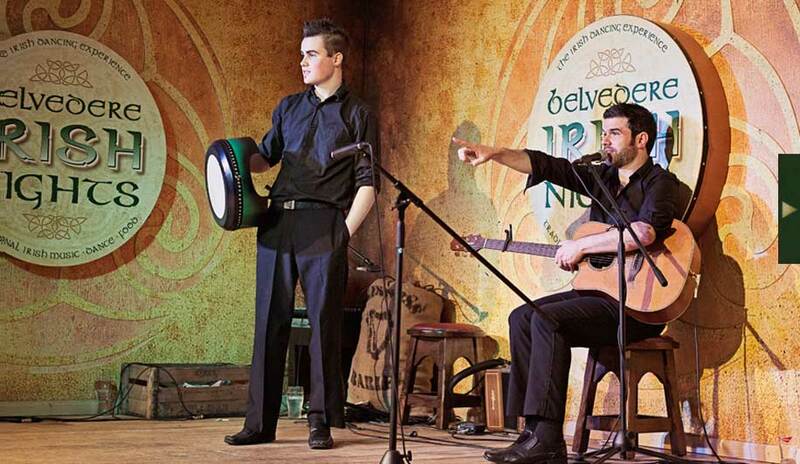 You will enjoy a sumptuous three-course menu featuring the best of Irish home cooked food, followed by this spectacular show with many opportunities for audience participation. 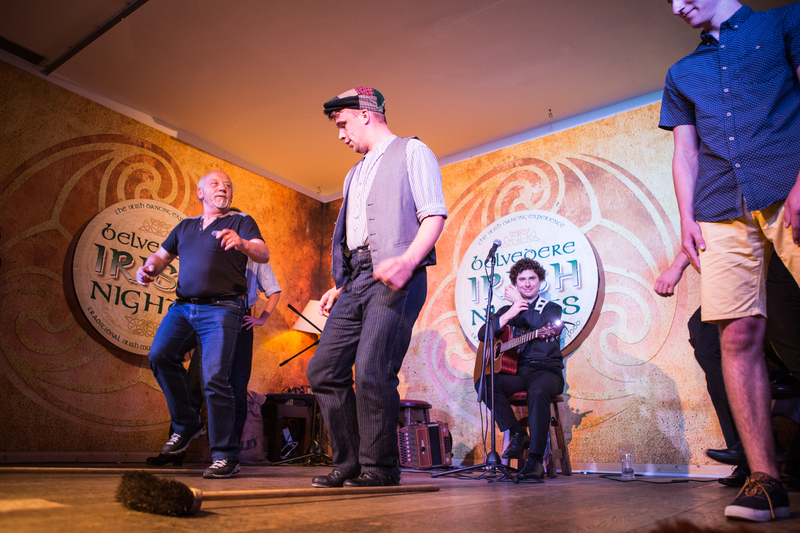 You will see performances in sean nós, the ‘old style’ traditional solo Irish dance mixed with the modern choreographies of reels, jigs and slip jigs and hear some of our famous pub style ballads and songs. 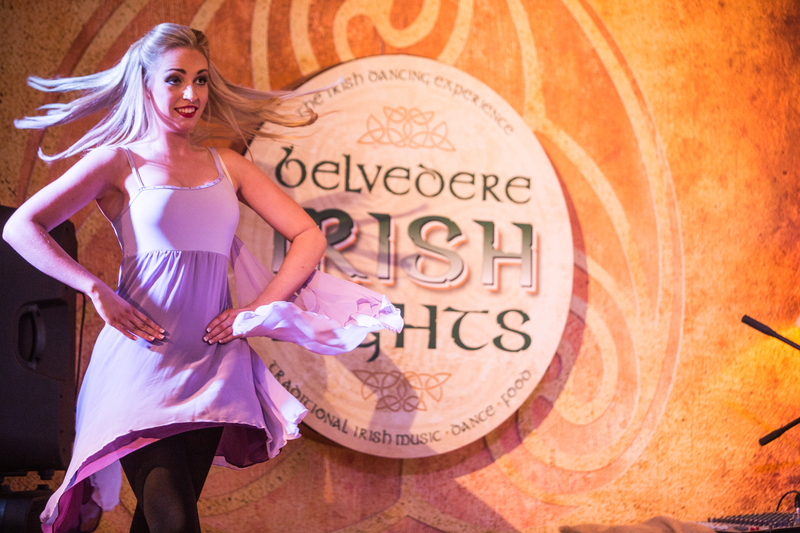 You will also see the progression of costumes from the old Ireland look to the modern costumes more commonly used in shows today. 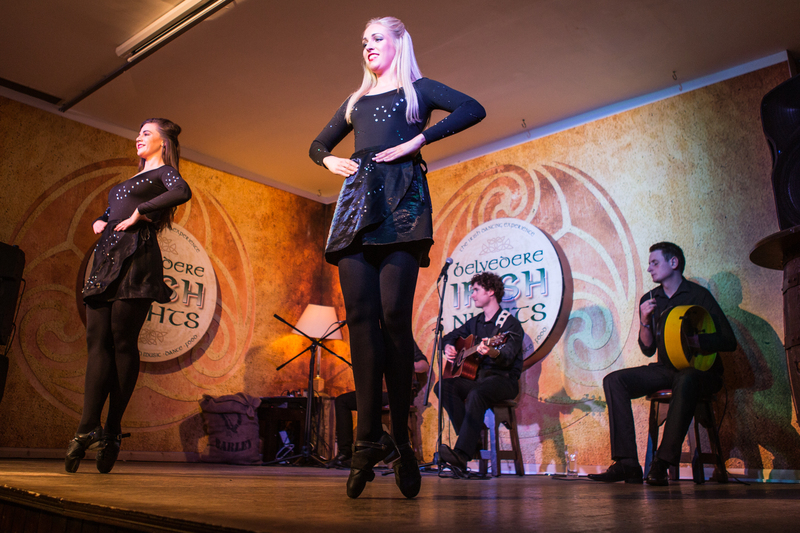 Make sure to add this venue & show to your next trip to Dublin! 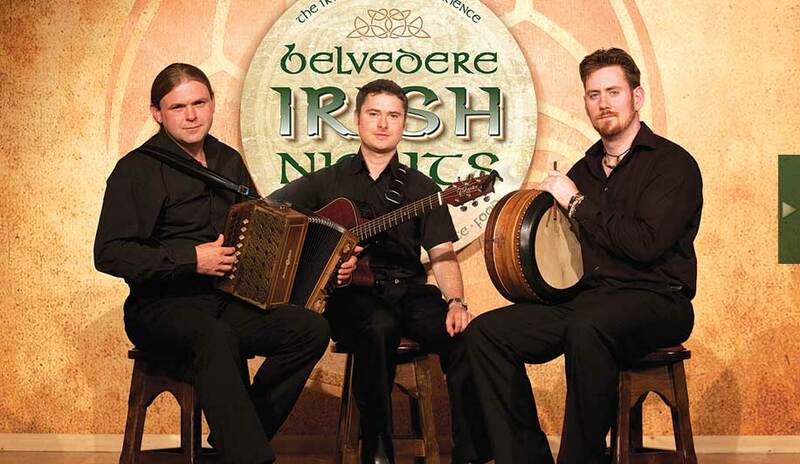 “When we decided to create our Belvedere Irish Night, our vision was to create a company image and a unique show that didn’t look like everybody else’s. We have been extremely impressed with the level of service and professionalism received from Damhsa. From our initial meeting, Damhsa took our ideas on board, listened to our exact requirements, offered brilliant suggestions and created an exceptional show that we are very proud of! 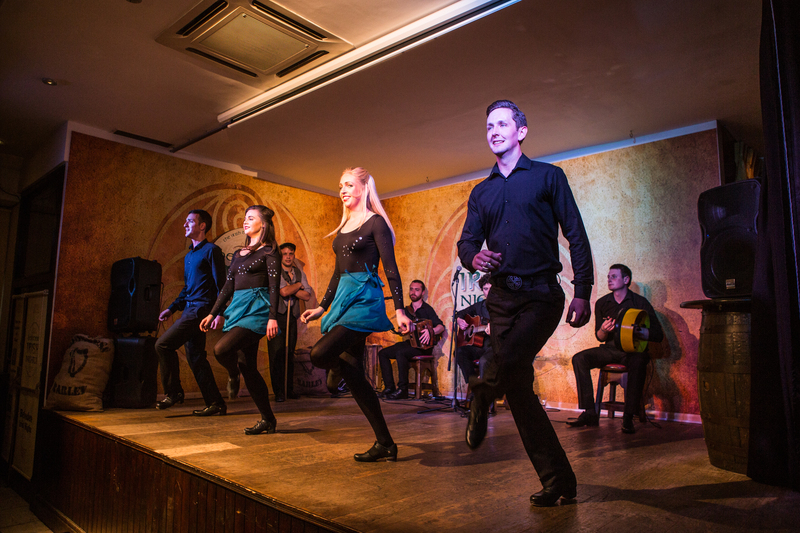 All of the dancers and musicians are highly talented and very professional. 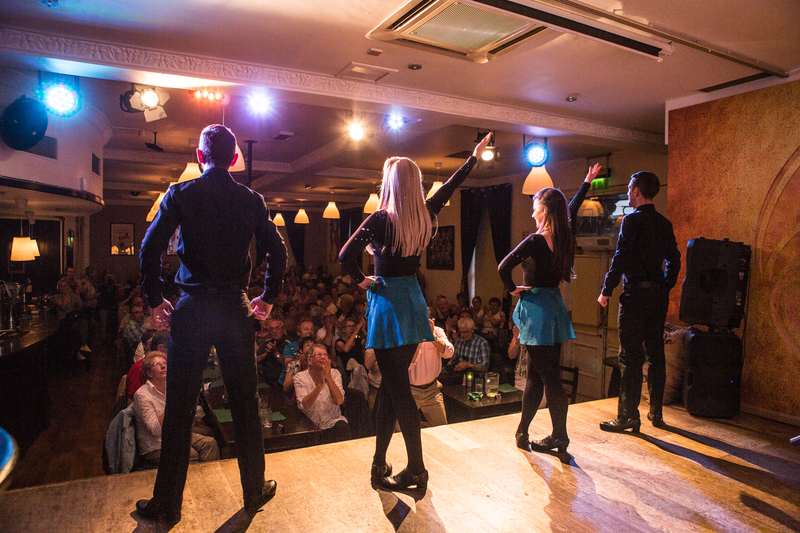 Our Guests always tell us how much they love the show, the energy from the dancers and how the cast include audience members and involve everyone in the night. I would like to THANK Damhsa for all their hard work and we look forward to a long continued partnership in the future.